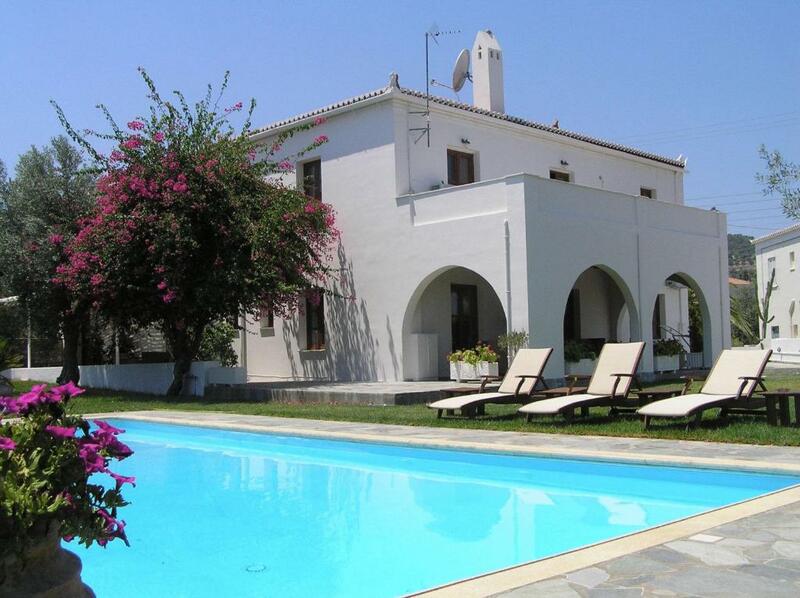 Lock in a great price for Villa Irini – rated 9.1 by recent guests! I liked the pool and the bathroom was very clean and modern. Our room was spacious, too. It was a great location not in the center, but everything was close (walking distance) enough. Supermarket, beautiful beach, bike rental, another beautiful almost private beach, restaurants. Great private garden and pool. And last but not least, Irini (the host) was an awesome lady, G R E A T service and hospitality. We will definitely go back. We booked interconnecting rooms as there was 5 of us. The location was good, a short walk from the old port, the new port and paradise beach. 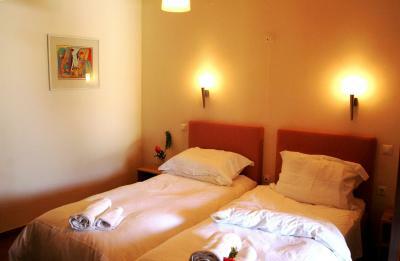 Irini was lovely, the beds were very comfortable and the staff were lovely. Irini is a wonderful host who helped out with advice and requests. A beautiful property. Mrs. Irini is a very friendly and helpful host. She made sure we had everything we needed and provided us with very useful info about the island (restaurants, shops, boat trips, beaches etc.). 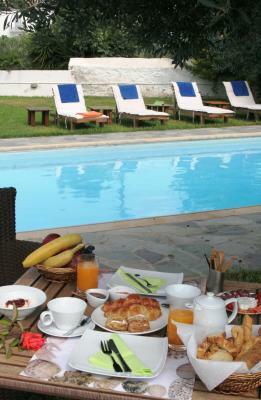 We enjoyed the excellent beds and had nice late breakfasts in the green garden of the villa. The pool was a big plus, especially for our child. We are looking forward to returning there. Thank you, Mrs. Irini, for everything! 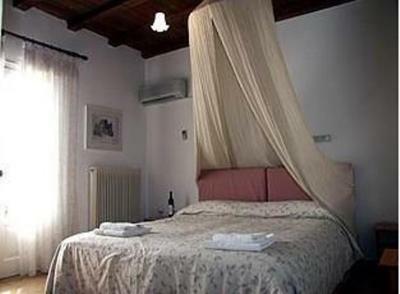 Second trip to Villa Irini and would recommend to anyone. Spacious enough room, minimally and tastefully decorated and with an outdoor area for parent(s) when kids are sleeping inside. 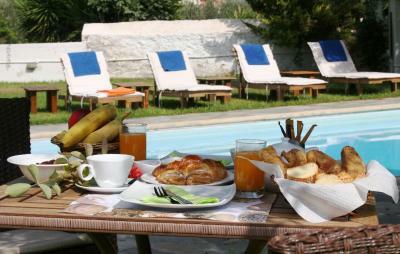 Breakfast served in the beautiful garden + pool area. 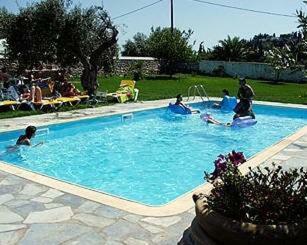 Well-maintained pool, always a joy for kids to play in. Quiet area, absolutely excellent host. Irini was a wonderful host. Friendly and helpful. 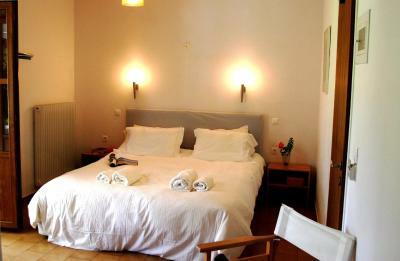 The room was clean, comfortable with good air conditioning and a gorgeous terrace near the pool. We enjoyed a delicious breakfast each morning in the beautiful gardens. Thank you Irini for a wonderful stay. Built around lush gardens and overlooking the swimming pool, Villa Irini offers comfortable accommodations just 1,000 feet from the nearest beach. 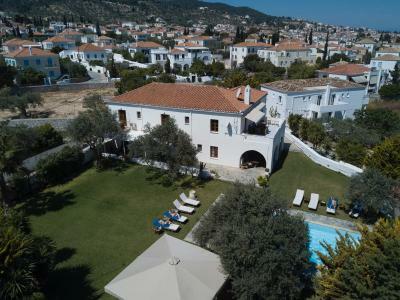 Behind the old port of Spetses, you will find the Villa Irini rooms, which were built with great care, maintaining the traditional architectural style of the island. All rooms come with Cocomat beds and mattresses. 1,650 feet from Villa Irini, you'll find the magnificent beach, Agia Marina, where you can enjoy water sports. The unspoiled beach, Garifalou, is only 1,000 feet away, if you prefer peace and quiet. 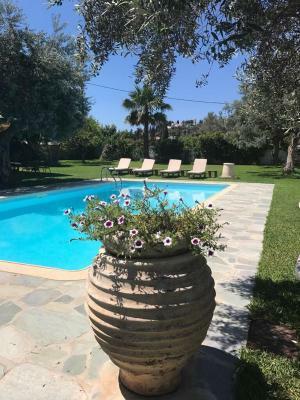 Alternatively, stay right by your accommodations and enjoy the facilities of Villa Irini, such as the outdoor pool, the pool bar and the friendly service. Opening to a balcony with garden and pool views, this air-conditioned room includes Cocomat beds and mattresses, a satellite TV and fridge. 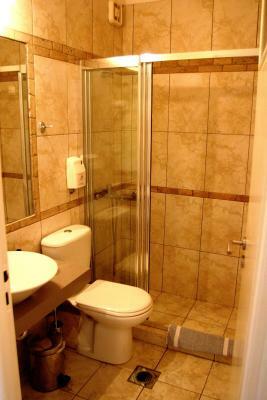 The private bathroom is fitted with a cabin shower, slippers and hairdryer. 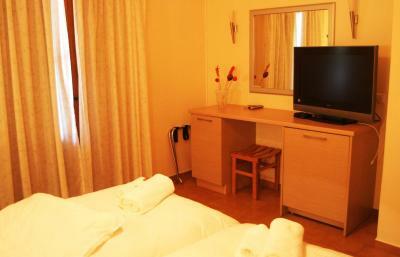 This air-conditioned room includes Cocomat beds and mattresses, a satellite TV and fridge. 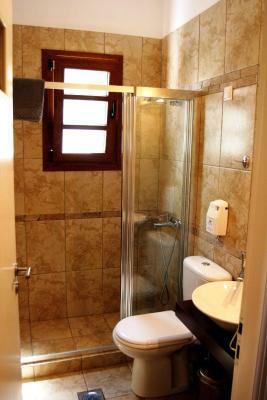 The private bathroom is fitted with a cabin shower, slippers and hairdryer. This room type has mountain view and comes with Cocomat beds and mattresses. There is nothing we would change about the Villa. It exceeded all our expectations and was good value for money. Our only issue was the walk into town and the many scooters on the road. However, we soon found a different route which was quieter. Amazing hotel, very spacious rooms, excellent host (replied directly in all my requests), felt like home. 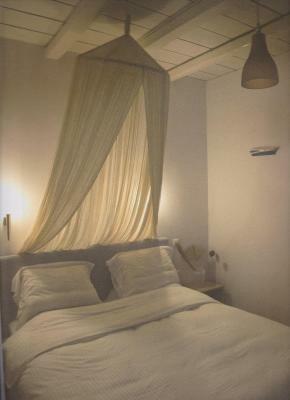 Next time I visit Spetses I ll book here again. Due to the dates of our accommodation which were at the beginning of the tourist season, and due to island's low water pressure, the pool was not filled with water so we didn't have the chance to swim in the pool. Breakfast was great with homemade jar and served at a beautiful garden around the pool.